RE/MAX Advantage is a full service real estate company that was established in the summer of 1986, from the first RE/MAX franchise sold in Michigan. The office was relocated from Milham Road to 7127 S. Westnedge in Portage late in 1993. The overall mission of the company and the sales associates is to provide exemplary service to their customers and clients. A large percentage of our sales are repeat business or as a result of referral from a prior satisfied customer. Over the years, the services of RE/MAX Advantage have expanded from residential to include: relocation, new construction, commercial, industrial, development, land and farm sales and property management. Additionally, we were the HUD, Real Estate Area Manager for a 6 county area in southwest Michigan. RE/MAX Advantage has been in leadership roles as a company for many years, especially with technological advances that ultimately benefit the RE/MAX customer and client. We installed the RE/MAX Satellite Network (RSN) in our offices to provide advanced training and education to the sales associates and staff. Many of our seller's listings went on the Internet in 1995, long before most real estate companies were aware of the possibilities. In 1996, we networked the computers in each associate's office to provide smooth sharing of information and high speed Internet access to everyone. RE/MAX Advantage sales associates have been in individual leadership roles too. As good citizens that have been elected to the city council, served as Director at local non-profit organizations and serving as committee members, chairman, Directors, Treasurer and President of the Greater Kalamazoo Association of REALTORS®. Although each RE/MAX office is independently owned and operated, we are a franchisee of RE/MAX of Michigan, consisting of nearly 120 offices and over 1,100 sales associates here in Michigan. RE/MAX International, the master company, was started in 1973 and now has more than 6,500 offices, located in 64 countries and more than 120,000 top producing sales associates. The name RE/MAX stands for "real estate maximums." 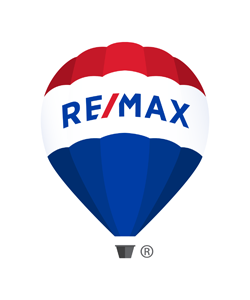 The RE/MAX hot air balloon logo is the most identifiable in the real estate industry. The balloons really exist, with at least 4 of them based here in Michigan. The RE/MAX hot air balloon fleet of more than 100, is the largest in the world. The balloon even helps the award winning, RE/MAX sign draw more attention to a listed property. When you're in the real estate market, choose a name you can trust, RE/MAX Advantage.